After the release of video calling for WhatsApp in the previous beta update, the latest one brings some added security. 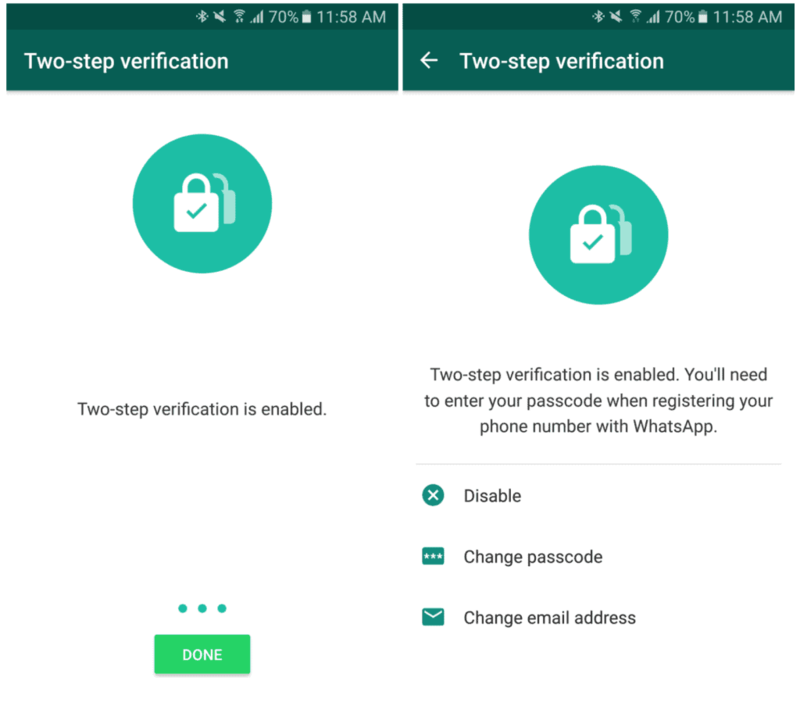 Taking a page out of Google’s book, there is a way to enable two-step verification on WhatsApp Beta for Android. The option to bring the added line of security to your instant messaging comes with the WhatsApp Beta version 2.16.341 and above. So make sure that you update your WhatsApp Beta app or install the beta version to get this feature ahead of the mainstream users. 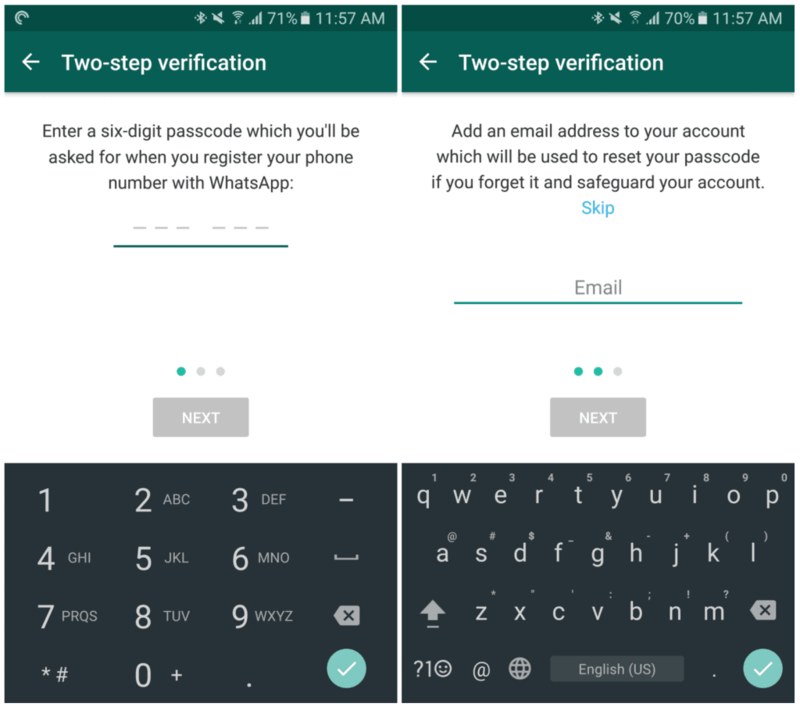 Once you have the supported version of WhatsApp Beta installed, head over to the app for setting up two-step verification. From the three-dot menu icon, head over to Settings->Account, and you will be able to see the Two-step verification option. Tap on the “Enable” button at the bottom of the screen and enter a six-digit passcode to register your number with WhatsApp. The next screen will then ask you to enter your email address to help you reset your passcode in case you forget it. Once you have entered the details and press “Next” the two-step verification process will be completed. 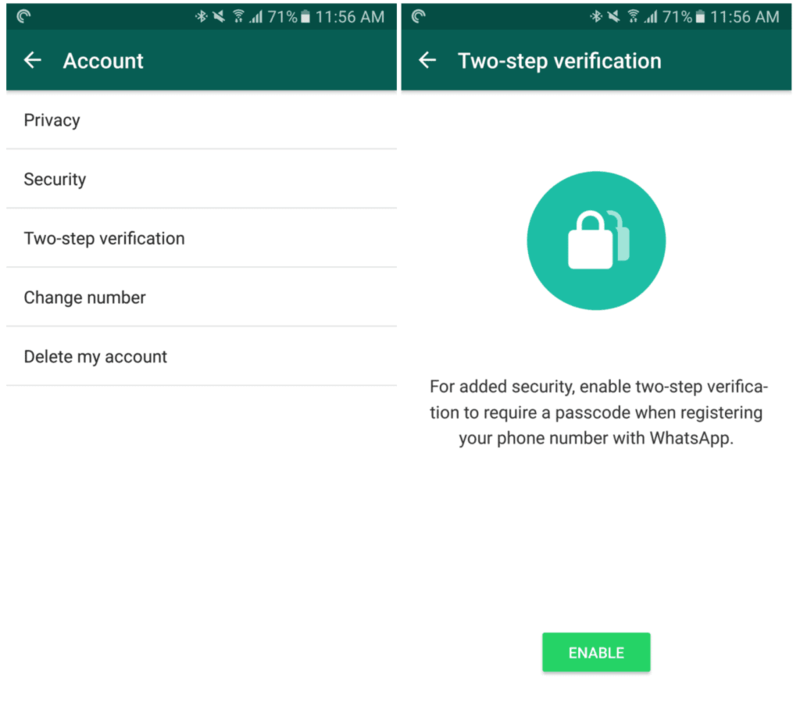 You will then be able to view a message as shown below, which confirms that two-step verification for WhatsApp has been enabled on your device. Are you among those security nerds who are relieved to have an extra protective layer on their favorite messaging app? Do let us know your thoughts on this in the comments section given down below.